Mick Mulvaney speaks during a November news conference at the Consumer Financial Protection Bureau. On Wednesday, he moved to effectively disband the agency's Consumer Advisory Council. Previously, when he was in Congress, Mulvaney sponsored legislation to abolish the bureau. In April, he said he wanted to shut down public access to a popular government database at the CFPB. In February, he indicated he wanted to scale back the CFPB's role as a watchdog. And under Mulvaney, the CFPB delayed a new payday lending regulation and dropped an investigation into one payday lender that contributed to his campaign. 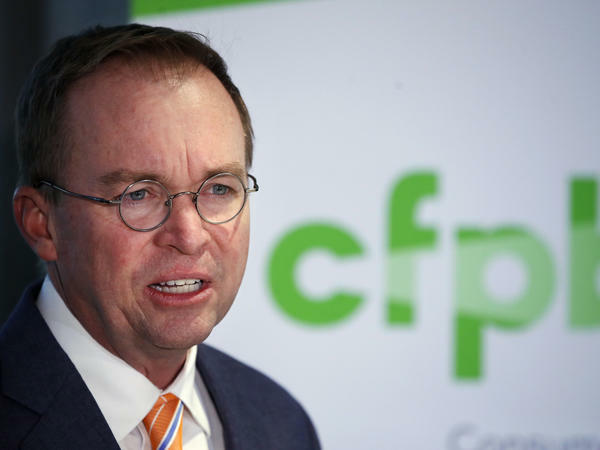 In a letter to advisory board members about Mulvaney's latest move, the CFPB said it will continue consumer advisory groups but will "reconstitute" them with "new, smaller memberships. Smaller memberships will ensure streamlined discussions about the Bureau's policy priorities and needs in a productive manner." Consumer Advisory Board members said the move, along with previous steps, signal the "destruction from within" of the CFPB. "Firing the current CAB members is another move indicating Acting Director Mick Mulvaney is only interested in obtaining views from his inner circle, and has no interest in hearing the perspectives of those who work with struggling American families," Ann Baddour, who chairs the board, said in a statement. Chi Chi Wu, an attorney with the National Consumer Law Center and a member of the Consumer Advisory Board, said firing current members is a "huge red flag in this administration's ongoing erosion of critical consumer financial protections that help average families. Apparently Acting Director Mulvaney is willing to listen to industry lobbyists who make campaign contributions, but not the statutorily appointed Consumer Advisory Board members." CFPB spokesman John Czwartacki responded to the advisers' criticism, saying flatly: "The Bureau has not fired anyone." In a statement, he said, "The outspoken members of the Consumer Advisory Board seem more concerned about protecting their taxpayer funded junkets to Washington, DC and being wined and dined by the Bureau than protecting consumers." Engel responded: "Wow. ... To call it a junket is incredibly offensive. We are working really hard. "The big concern of the group, and the staff at CFPB know this, is not about us going to ... to the meetings. [It's] about what this means for American families." She said some of the issues the Consumer Advisory Board was working on with CFPB staff included mortgage abuses affecting seniors that put some in foreclosure, unfair student loan practices, and illegal debt collection practices. Czwartacki said the CFPB "will continue to meet its statutory obligation to convene the Consumer Advisory Board meetings as well as enhanced forms of public outreach and engagement." Max Levchin, CEO of Affirm, a lending startup, is another advisory board member. He called the board's dismissal "a step backward." "Part of the rationale shared for this decision includes cost-cutting measures, but it is also important to note that several of the members (myself included) would have happily shouldered the cost for travel and incidentals in order to maintain the integrity of the forum," Levchin said in a statement. A Trump appointee running the Consumer Financial Protection Bureau has disbanded a consumer advisory board, and that board helped the bureau identify unfair practices at financial companies. Consumer advocates say they have been snubbed for months by the new leadership at the bureau. And critics of the bureau's acting director say he has been taking lots of meetings with the very financial companies he is supposed to be policing. All right. Here to help us make sense of this is NPR's Chris Arnold. Hey, Chris. CHRIS ARNOLD, BYLINE: Hey, Mary Louise. KELLY: So let me name this acting director. This is former Republican Congressman Mick Mulvaney, who's been a controversial pick to run the bureau, even in an acting capacity. Back when he was a congressman, he referred to it as a joke. So what's up with this latest move? ARNOLD: Right. You know, this is one of these cases of the president finding, perhaps, the guy who hates the agency the most and then putting him in charge of running that very agency, right? I mean, like you said, Mulvaney, when he was back in Congress, he actually drafted legislation to abolish this bureau. And now since he's come in, he's done a series of steps that have scaled it back, you know, made it a less aggressive watchdog. He's very open about wanting to do that. And so now what's happened is he's effectively disbanded an advisory board that had a bunch of consumer advocates and experts on it. And saying, look, well, we're just not going to meet with you guys anymore. And we spoke to Kathleen Engel. She's a law professor at Suffolk University Law School. She's been on this board, and she was on the phone call this morning with one of Mulvaney's deputies, along with other members of this board. And here's what she had to say.  KATHLEEN ENGEL: It was at that conference call we were told that the Consumer Advisory Board members were all going to be relieved of their duties. It's deeply distressing. And they were talking out of both sides of their mouths. And it's quite clear that we've been fired. KELLY: Chris, what are Mulvaney and his deputies saying about this? What's their explanation? ARNOLD: Well, they're saying that nobody's been fired. We're keeping this board together while we reconstitute a new board, maybe with people that they like better. But Engel's saying, well, it's kind of a smokescreen. Technically, they're still on the board, but they're not going to have any meetings, and they're not going to be able to do anything. KELLY: Well, is it a smokescreen? I mean, why do this? ARNOLD: Well, the official word is this is to streamline the process, come up with a smaller, more effective advisory board, maybe do some town hall meetings. But critics say, look, it looks like the new leaders at the CFPB just don't want to meet with these consumer groups. And meanwhile, they've been meeting with a lot of industry people. There's - the calendar that Mick Mulvaney holds apparently shows that he's met with credit card companies, banks, even payday lenders, some of whom contributed to his campaign when he was in Congress. KELLY: All right. Thanks very much, Chris. KELLY: That's NPR's Chris Arnold.